his page contains a very simple step-by-step tutorial on How To Catch Pokemon Using QR Codes. Using this guide you can "catch" essentially any Pokemon provided you have an Internet connection for your 3DS browser. You do not need any additional hardware. A redditor by the name of Frocharocha discovered this exploit the Pokemon sub-reddit . We took the same steps and fleshed them out a bit more for anyone to understand. This hack represents a vulnerability in the Pokemon software that might be patched in the future. 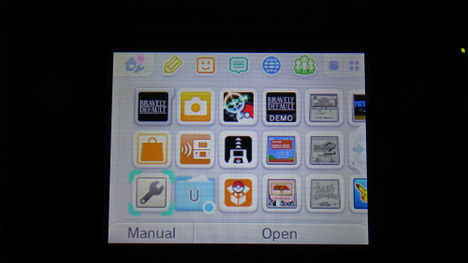 In fact, it should be patched, and hopefully exposure like this will bring it to Nintendo's attention. Until then, we hope this guide is helpful for people who want to experiment with Pokemon they might never have access to otherwise. All you need is a 3DS, 3DS XL, or 2DS with a copy of Pokemon X, Y, Omega Ruby, or Alpha Sapphire. Your handheld's camera must be working, and the system must be connected to the internet via Wi-Fi. NOTE: This does not work with the New 3DS or New 3DS XL. Start up your handheld system and open the browser. The button to open the browser is the small, blue circle at the top of the main menu. With the browser open, click the wrench icon to enter the settings menu. Scroll down until you see the “Clear History” and “Delete Cookies” options. Use both of these options to clear the browser. Return to the main menu by pressing the HOME button, and start up your copy of Pokemon X, Y, Omega Ruby, or Alpha Sapphire. Head to a Pokemon Center and open up the Pokemon Storage System using the PC. Leave the first spot open in the very first box! If you do not do this, you will lose the Pokemon in that spot. Exit out of the Pokemon Storage System, but do not move your trainer. Press the HOME button to return to the main menu, then press L+R to open up the camera app. Once the camera is available, press the QR Code reader button near the bottom-left side of the screen. It looks like a square box. Use this to scan one of many QR Codes available online to instantly get a rare Pokemon. Once the camera correctly scans the QR Code, a link will pop-up asking to open the browser. Click okay to do so. After a few seconds, the browser will crash. Click okay again, then resume your Pokemon game. Check the first slot in the Pokemon Storage System to find your brand new hacked Pokemon! Using this method will not add the Pokemon to your Pokedex. The easiest way to do fix this is to deposit and withdraw the Pokemon from the Pokemon Bank. The Pokemon Company may find a way to block these in future Pokemon games. The Pokemon Transfer System was one of the ways that prevented illegal Pokemon from transferring from Generation 5 games to Generation 6 games. Also, some people frown upon hacked Pokemon. They won't battle or even trade if they know you have hacked Pokemon, but this may be the only way to get some past event Pokemon unless you trade with someone who has a legitimate version.